Hacker “wesgood,” apparently not satisfied with randomly checking the office coffee pot to see if a fresh brew was available, decided to make his own notification system. 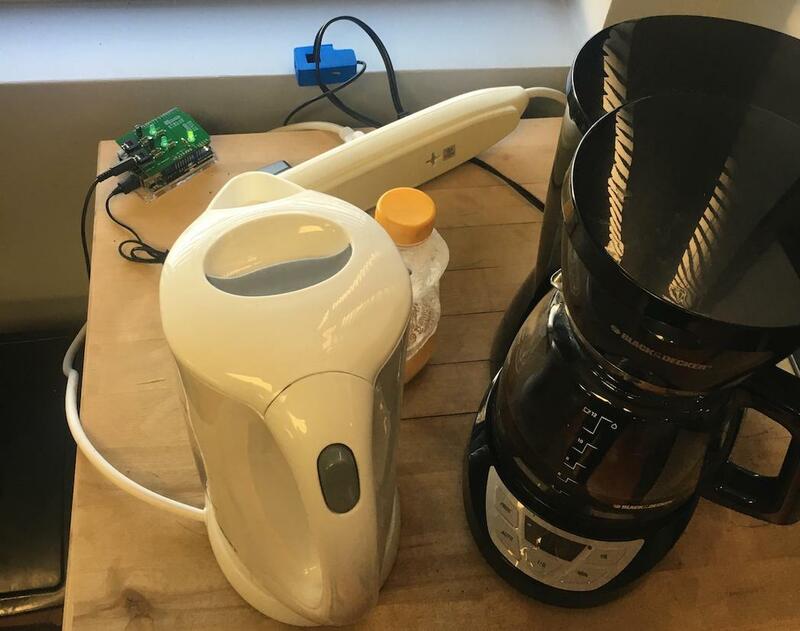 His device uses a current sensor to monitor power usage of the coffee pot, and after some observation, he was able to pick out its brewing pattern—7A at 10 minutes, then quick cycling to keep the pot warm. 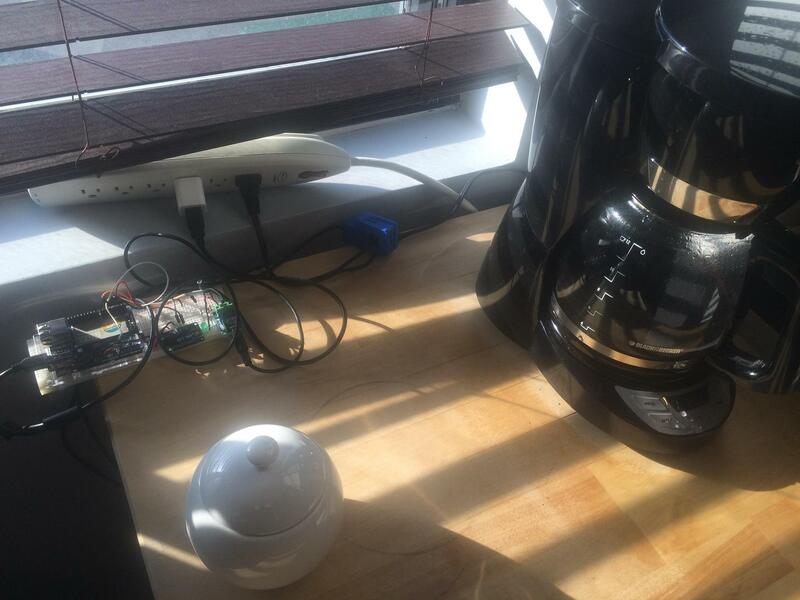 The system features an Arduino Yún for brew tracking and sends an alert via his office communication tool to let everyone know that a fresh pot is ready. As with many projects, the first iteration started life on a breadboard, but now exists on a manufactured PCB as a shield. It even has a second channel that is slated for use with the office kettle. Once the Arduino side of the Yún detects the brew cycle is complete, it triggers a shell script under Linux that sends a notification to our office communication tool Hipchat. It also records the data about date and cycle stage so that Hipchat can query the database (on a webserver) and request things like what stage the brew cycle is on and when it brewed last. You can find additional build details on Imgur. With some projects, your goal is to get it working to prove out a concept for a larger project, or simply to satisfy your curiosity. On the other hand, sometimes you want your creation to look great. 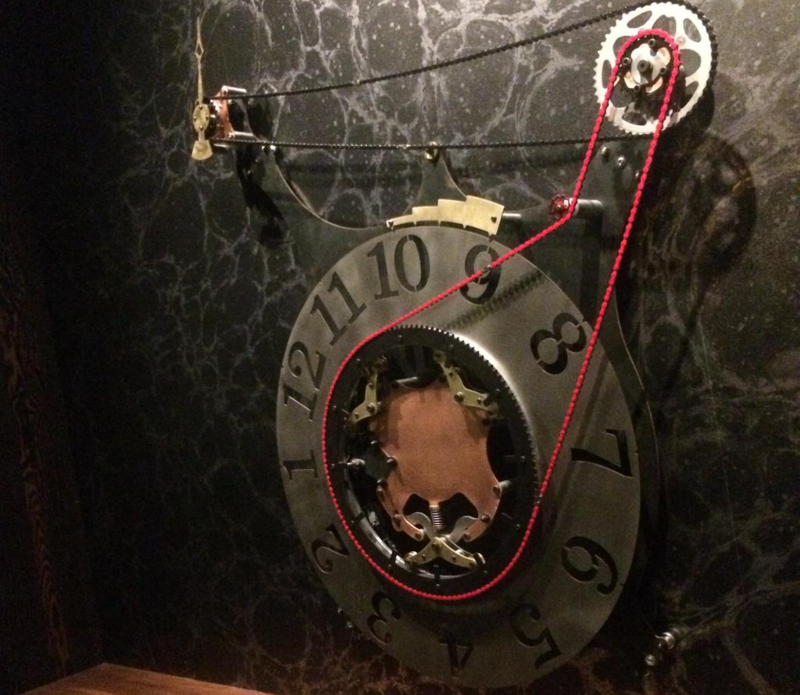 That was the case here, as this electromechanical clock integrates several different types of metal along with a chain drive into something that’s as much a work of art as it is a practical timekeeping tool. 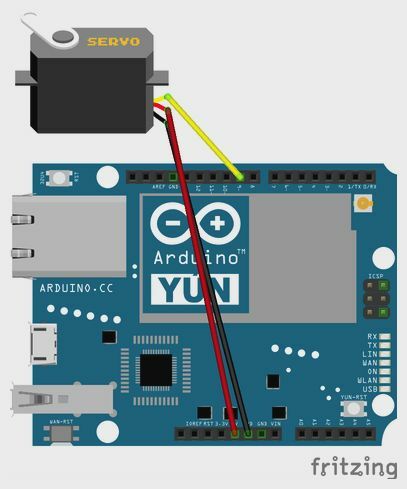 Upon startup, the device is able to auto-calibrate using a clever sensor setup on the hour hand wheel to make sure it’s at 12:00 noon/midnight, then uses the Arduino Yún‘s built-in WiFi support to check the time off of the Internet and configure itself accordingly. This clock was designed, machined and assembled, every piece from scratch (apart from a couple of the small chain sprockets and chains themselves). The timekeeping and motor/position control software was also developed and programmed 100% from scratch as well. All the parts are made out of a combination of copper, brass, steel, aluminum, and stainless, and the assembly is driven by an Arduino Yún running a NEMA style stepper motor, and Honeywell automation Hall effect sensors for the mechanical position readings. You can find more details in the video seen below, and on its creator’s Reddit post. To bridge the gap between the digital and analog worlds, Dawes decided to create what he calls the “Plastic Player.” The playful interface features a Raspberry Pi running Pi MusicBox connected to his 50-year-old B&O stereo, and an Arduino Yún with an NFC shield. 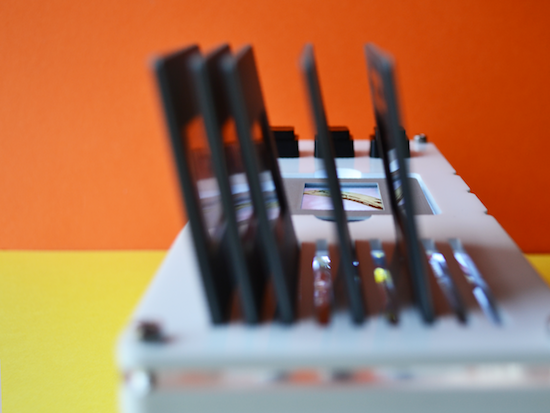 The “albums” themselves are made from a box of slide mounts with tiny NFC stickers on the back. 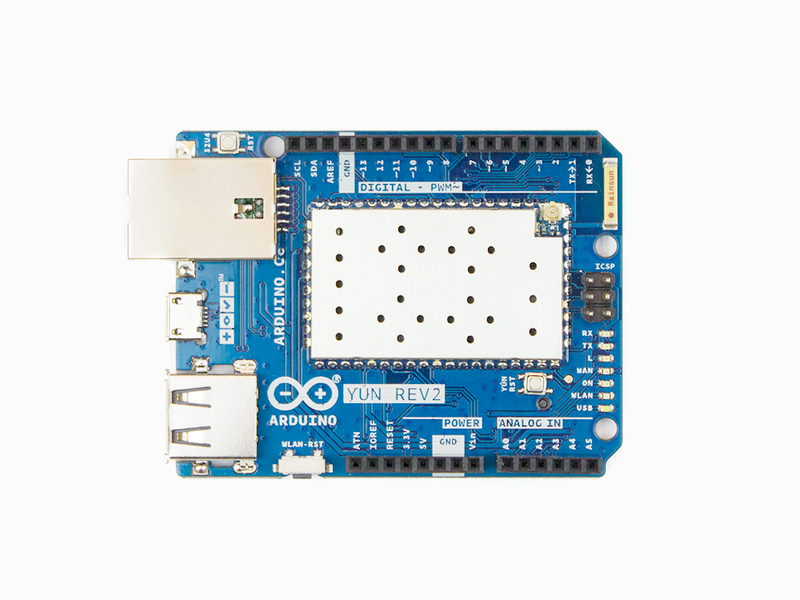 When Dawes drops one in place, the Arduino identifies the tag, matches it to a specific record, turns on a backlight, and then communicates via WiFi with the Pi MusicBox API to play the tunes. Removing the cartridge from the device pauses the track. But that’s not all. There are also three buttons on top, which can be used to skip, go back, or stop a song. It’s often easy to romanticise the past, convincing ourselves that things were better back then when really I think that’s just not the case. I’ve discovered way more music since moving to Spotify then I ever did in record shops. What I do like though is the physicality of choosing an album to play and this system is an attempt to blend the good parts of both worlds. The future will continue to be digitised and I embrace that, but I think there’s a space in between the digital and the analog to create interactions that are filled with the inconvenience of what it is to be human. You can read more about the Plastic Player on Dawes’ website, and see it in action below! 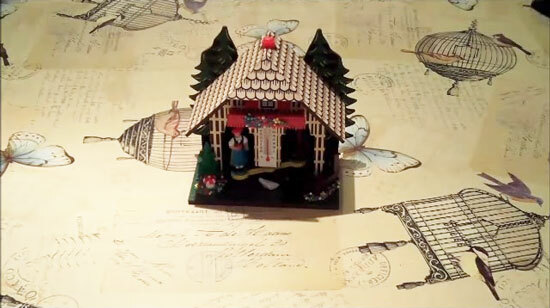 What happens when a creative technologist wants his family to know he’s thinking about them? 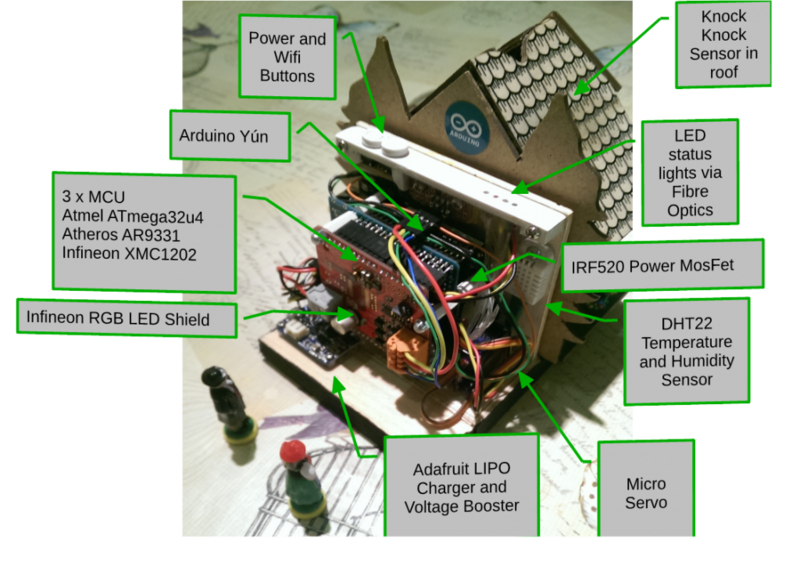 He creates a project with Arduino Yún! 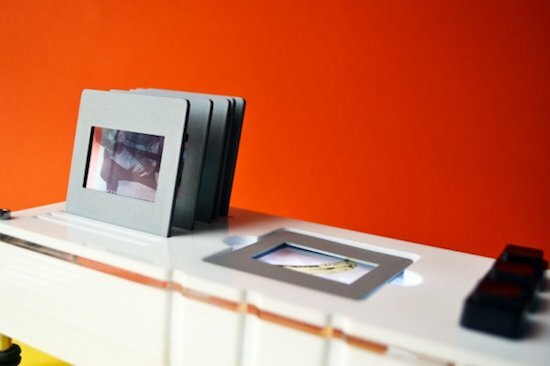 IMissYou is a simple project transforming a picture in a connected object thanks to a capacitive layer made with Bareconductive Paint and inserted behind the photo. 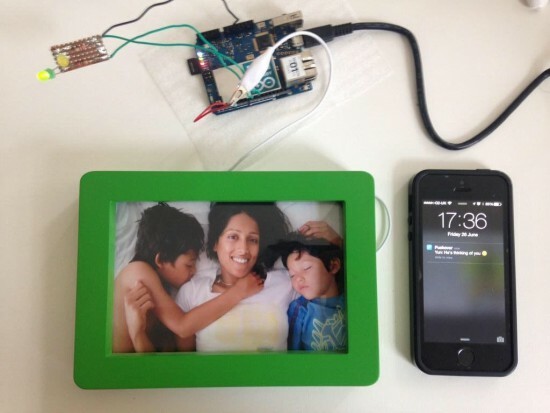 The ‘touch’ is detected by the Arduino through the glass of the frame by a spike in the values (with a basic Capsense library), sent to the internet via wi-fi and delivered to a phone with Pushover. I wanted my family to know I was thinking of them, but I didn’t want to create two products; think GoodNight Lamp – I do love that project. In any case, there was no guarantee they would even notice a ‘blinking’ photo frame responding to my signal. Making the Receive a PUSH notification seemed like a no brainer, but the last time I developed for mobile was iOS 1! There are a number of service apps out there: Pusher, Pushingbox but I decided on Pushover. It had a 7 day trial period and good API support (I’ve since bought a license). Take a look at his blog for more details and if you want to give him some tips to make it a real product. The mechanics were replaced with a servo and 3D printed parts designed to make the movement linear rather than arcing as in the traditional approach. The figures were fitted with magnets so that they could move without any obvious form of propulsion. 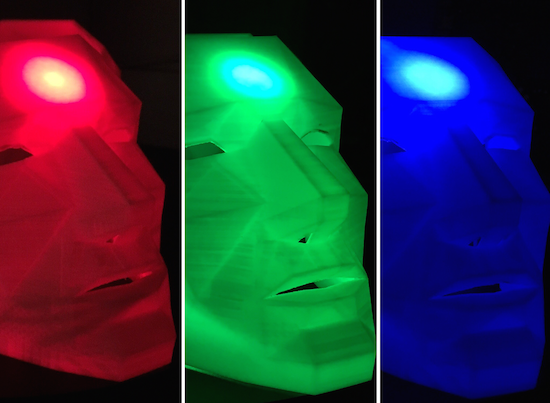 The electronics were based on an Arduino Yún, custom prototyping shield and an Infineon RGB LED driver shield. The whole thing is powered by a rechargable LiPo battery and a module from AdaFruit. Because the Arduino was deep in the middle of the house, I used fibre optics to bring the light to the top panel. A sensor was added into the roof so you could simply tap it to get it to update the forecast for you. 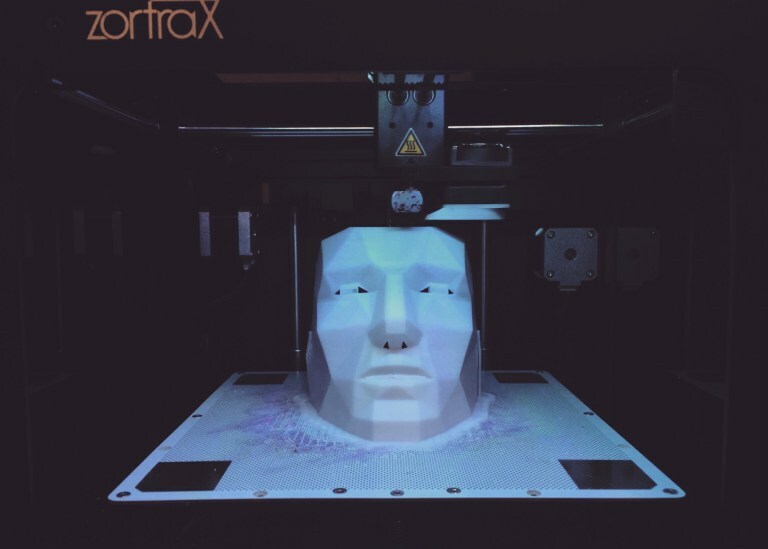 The project was build over a period of 16 weeks, the mechanical aspects were completed first and the 3D printing took several goes to get it right. The electronics build was fairly straightforward but fitting everything onto the proto shield was challenging and the high clearance for the Yún was also a challenge. The software was written as I went along with demo programs created to test each part. Getting the Yún to work on low power was fairly straightforward but getting a secure and validated HTTPS connection took a few attempts. tried to put as much of the processing into the Python script so that the C++ code was just handling the control. All in all a challenging project that pushed the Yún to it’s limits. Learn more about the project on Andy’s blog. 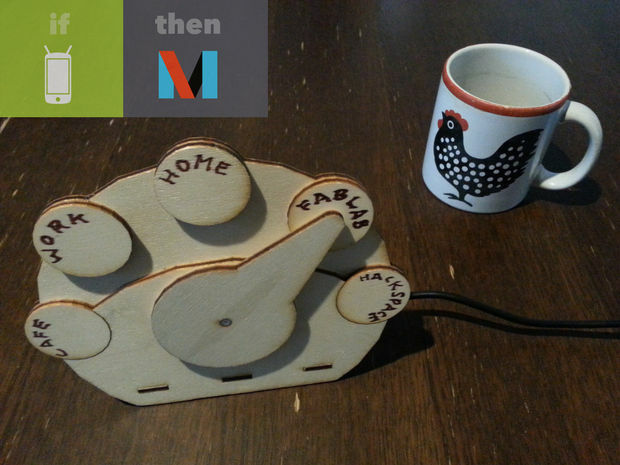 Tomas Amberg shared with us the link to an Instructable he published on how to build a Web-enabled, Arduino-based IoT Gauge with a REST API, and connect it to the IFTTT mash-up platform, via the Yaler.net relay service he founded. Inspired by WhereDial, a DIY Internet of Things classic, the IoT Gauge shows the current location of its owner. A bit like the Weasley Clock in Harry Potter. 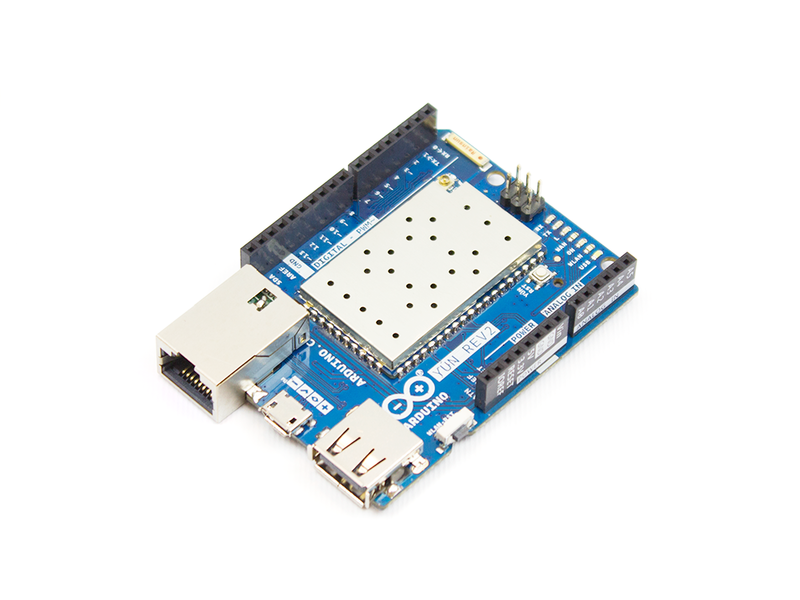 The design and code of the IoT Gauge is generic and could be used as well to display e.g. weather conditions. 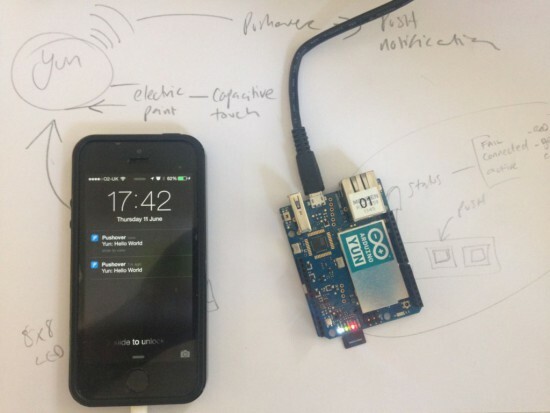 The logic resides in the Cloud, the gauge is just a servo with an API. Check out the five-step tutorial and the ingredients you need at this link. I used a moisture sensor as an input and a servo motor as an output that I can control through a demo web application made using the browser-sdk. 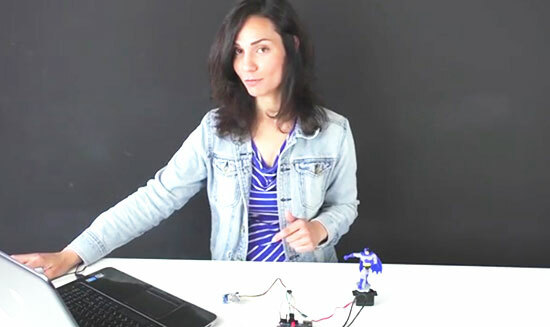 The code in this repository will enable you to use your Arduino to build a prototype of a device and connect it to the relayr platform, much like the one created with the Particle.io Photon. 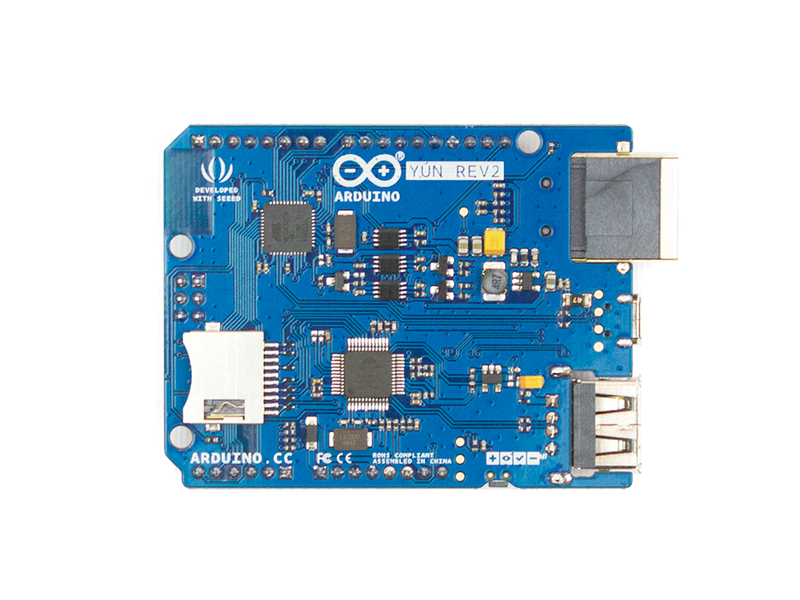 It contains instructions and a demo app which will make your first few steps in the relayr-Arduino prototyping realm easy and fun! Arduino Yún controlling a 12 mentos-coke installation! 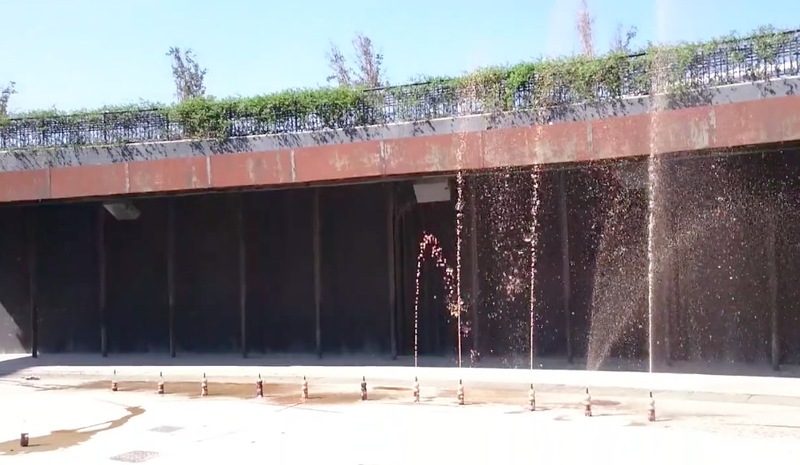 What happens in Zaragoza when you mix David Cuartielles, a group of teens, an Arduino Yún, 12 cokes and a bunch of mentos?